Observers S and S’ stand at the origins of their respective frames, which are moving relative to each other with a speed 0.600c. Each has a standard clock, which as usual, they set to zero when the two origins coincide. Observer S’ clock visually in sight. (a) what time will the S’ clock record when the S clock records 5.00 μs? 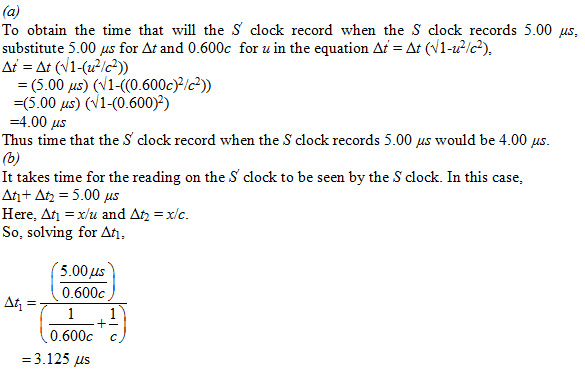 (b) What time will observer S actually read on the S’ clock when the S clock reads 5.00μs?